Adrie van Diemen is the person behind WebTrainer. He has eight years of experience as trainer and guidance of the Rabobank Cycling Teams and he worked among others with the world champions Greg Lemond and Danny Nelissen, furthermore, Adrie is author of the cycling magazine Fiets. 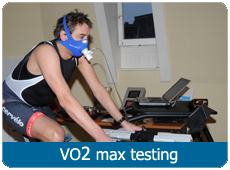 At the moment he is responsible for the training and guidance of 10 cyclists of the professional Garmin Cyclingteam, including Christian Vande Velde who became fourth in the Tour de France of 2008. De time trial specialist David Millar, Martijn Maaskant who finished fourth in Parijs-Roubaix in his debut year and of National Irish champion Dan Martin who did won as a neo-pro the stage race Roud du Sud in 2008. Training guidance that seemed only available for world class athletes is now available for everyone. WebTrainer will give you maximal profits from Adrie's knowledge and experience so you can fulfil your sportive ambitions. 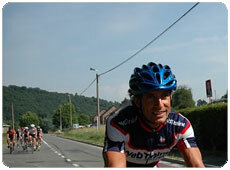 The sport guidance from WebTrainer is suitable for ccylists from all levels. WebTrainer take care for programs which are composed to your situation and take into account with your form and your goals. Irrespective if this goal is to ride your first cycling challenge or to win the cycling race... you name it! WebTrainer starts always with the making of a training schedule which suited you. This training schedule will be made with referring to the intake which will be taken by WebTrainer. Because everybody reacts different on training, your schedule will be adjusted to your personal development if necessary. In this way your training will never be too heavy, but also not too easy! The frequency of the adjustment depends on the subscription you have. WebTrainer Coach is available for competition cyclists, cycle sportive riders or tour cyclists who want to improve their performance. 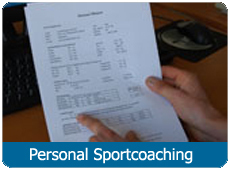 The personal contact with your own coach helps you to get the best of you. He knows you and he will help you further. Besides, you make contact with other people who have the same passion for cycling as you have during combined training sessions. These training sessions will be given by BergOp, in training camps and clinics but also at training sessions which will depart from Swift Leiden. The WebTrainer Coach, personal training guidance by a personal coach, will be offered in different packages, for an overview click here. In that overview you find all training packages and you can determine which package suits you best. You can have a subscription on WebTrainer Coach for only € 59,- a month.